The latest offering from Nike mixes lightweight foam and a performance fit into one fun-to-run package. 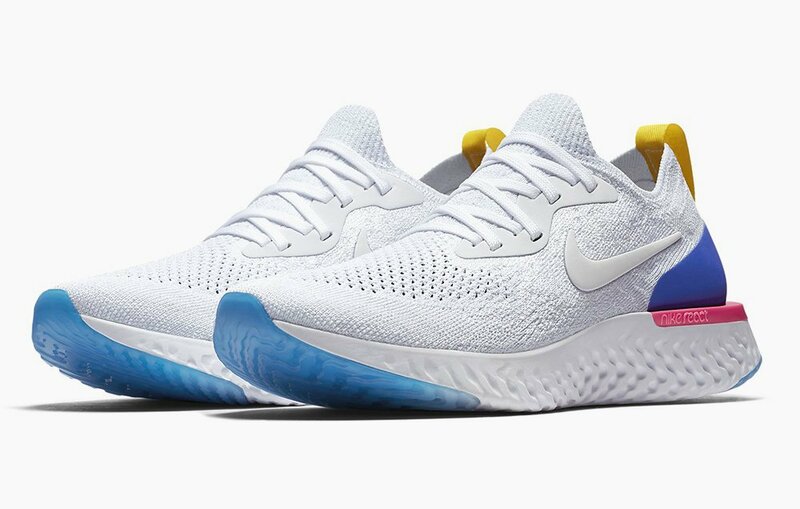 The foam wars continue with Nike’s latest offering, the Epic React, featuring, you guessed it, a new foam compound designed to offer outstanding lightweight cushioning. What Nike is not doing is joining the growing ranks of manufacturers who are adding overly soft, bouncy foam to their shoes. The Epic has a performance fit, making it a great tempo or race-day shoe for some. For others, who enjoy a snug shoe, the Epic will provide enough protection for longer runs. To get an idea of what’s going on with this shoe, we sent it to the RW Shoe Lab (see the data below) and also put it on the feet of some of our editors. 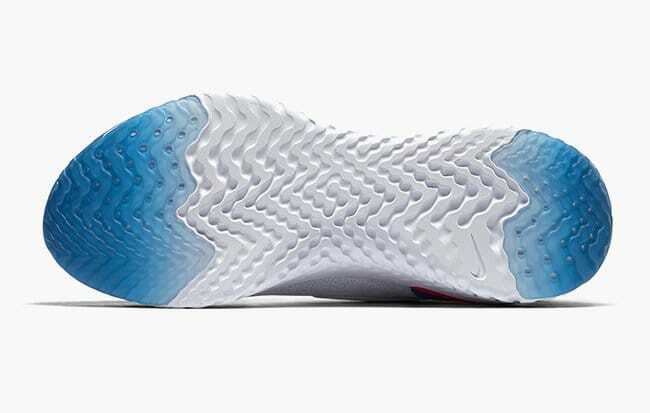 The midsole is 100 percent React foam, which has been carved away from places where it’s not needed, such as under the arch. This keeps the overall weight of the shoe down. The sole is cushy but not mushy, designed to strike that perfect balance of softness while still bouncing back after each stride, protecting your feet for the whole run. Our editors felt the Epic accomplished this. They loved the ride, describing it as comfy and bouncy. 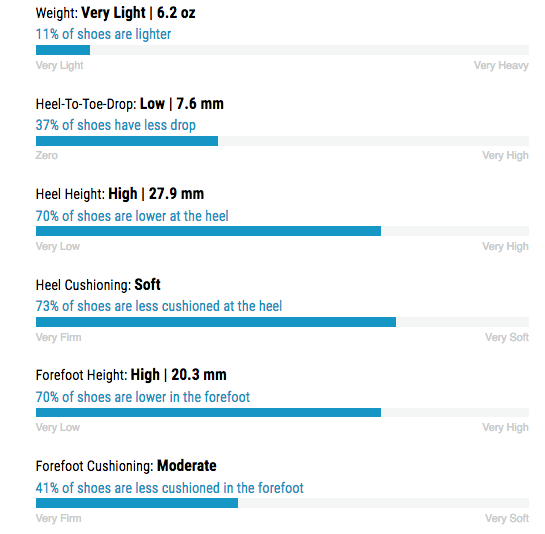 The cushioning (how soft the shoe feels underfoot), proved to be a bit better than average in our testing, scoring 73 in the heel and 41 in the forefoot on a 100-point scale. And the energy returned (how much the sole springs back after each stride) was above average, as well, scoring 62 percent out of 100. 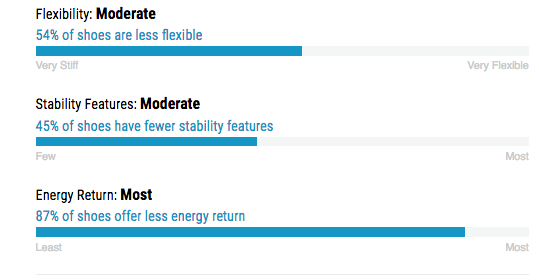 Nike also talks about the React having better energy return than other shoes in its line with Lunarlon foam, such as the LunarEpic Flyknit Low, which we found to be true in our lab tests. The shoe’s low weight is impressive, with the Epic offering slightly more sole underfoot than other shoes with similar weights. 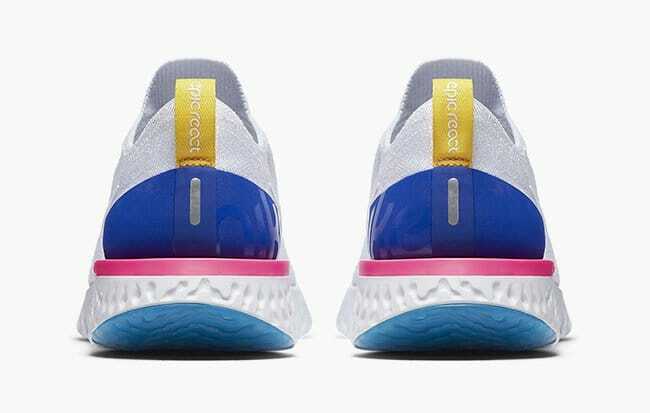 The part of the Epic React that surrounds the foot is made of Flyknit, a technology that uses strong woven threads to hold the foot where it needs to be, while providing open areas for it to breathe where hold is not as important. Flyknit reduces, and in most cases eliminates, the need for stitched or glued overlays. The upper has a bootie construction with a tighter weave over the arch to help hold the foot in place, while the forefoot has a more open weave for ventilation. The laces tie through reinforced eyelets that connect directly to the arch wrap. The heel is reinforced with an external cup that wraps the rear foot, helping to lock it in place. The fit was hit or miss among our testers. “Nike is generally too narrow for my wider feet, but I was pleasantly surprised when I put them on, and the knitted material moulded around my feet perfectly. They fit snugly and are extremely comfortable to run in.” said Online Editor, Penny Trevena.